As Rangers fans know, regardless of recent performances and results, one position Steven Gerrard’s squad is a touch light on is attacking midfield. While Scott Arfield has pretentions towards that slot, he’s more of a box to box midfielder, while Graham Dorrans isn’t fit enough to sustain in the role and Steven Davis appears to be getting played deeper under Stevie’s system. However, one midfielder, previously a defensive anchor, has absolutely blossomed down south as an all-new attacking playmaker, and with goals aplenty including an absolute stunner today against Wolves in the FA Cup stands out as a truly unexpected solution. Could Greg Docherty be a cost-free outcome to a problem which has absolutely plagued Rangers for far too long? If we look at the ex-Hamilton man’s stats, he has 3 assists/goals in 6 in the cup and 10 in 22 in the league, making his form and development some of the best we’ve seen from a player away on loan from Ibrox. In short, Docherty is becoming maybe the best player in League One overall, and while we were heavily critical of Gerrard’s decision to put him out, the fact he’s absolutely blossomed as an attacking midfielder with assists and goals all over the place is a truly unexpected bonus and enough to suggest that with only five days left of the winter window, if Gerrard wants a powerhouse midfielder who can score and create, Docherty is his man. 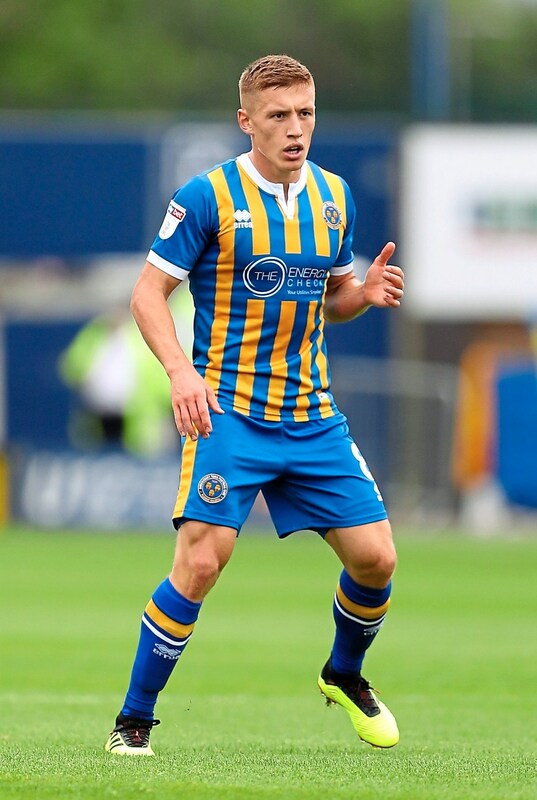 Anyone who saw his finish today will know it was a complete pearler, and he just keeps doing it for Shrewsbury again and again. And for those who argue about it being in League One, he’s done it against more than one Premier League side with Stoke too being victims of his rise to quite frankly greatness. There’s enough time to bring him back – and quite honestly given how awful things have been in the past two fixtures, Greg Docherty cannot be anything other than a benefit to Rangers. They weren't playing stoke they were playing wolves who ARE in the premier league. Bit of a mischievous post wlg! I said likewise last week. Who would keep him out of our squad? Good call but it won't happen. Shrewsbury, for example, will have the same arrangement as we included in the Worrall deal with Forest. So we can only call back, up to a certain point. Pass that and the player stays for the season. A real pity! By the way, need to pick you up on your assertion that Docherty was previously a defensive midfield player before going on loan. Not true. Yes, our Mexican friend played him that way but all his time with Hamilton he was an attacking midfielder - the way Shrewsbury delpoy him. Anyway, we`ll have to wait until season to see how Gerrard deploys him. There is a world of difference in playing for Shrewsbury, where the level of pressure and expectation is zero compared to playing for Rangers, and having a 50,000 crowd breathing down your neck analysing your every move, pass, lack of movement etc. Steve G has been proven correct in sending him out on loan, because with regular game time he is improving which is great for him and hopefully good for Rangers in the long term. But if he comes back now, he will end up spending most of the time on the bench at best, far better to have him playing regular game time at Shrewsbury and continue his development. Then come summer time bring him back and see whether he has improved enough to cope with being a Rangers player. Decent comments from SCIM BOB/ALANC have to agree 100%. They could ship out Worrall at the same time. How the feck is he getting a game today?